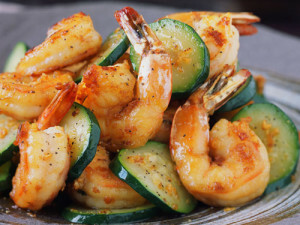 Those who suffer from Coeliac disease, have to eat a special gluten-free diet. A gluten-free diet is one that excludes anything that contains wheat, rye and barley. These ingredients can be found in every-day food such as bread, pasta, pastries, cereals and even in some sauces. If someone with Coeliac disease were to consume any of these items they would suffer from a wide range of symptoms including, stomach cramps, nausea, tiredness, headaches and rashes. The sauces used in Indian food are usually thickened using yoghurt or chickpea flour, which makes them safe for those who suffer from Coeliac disease. 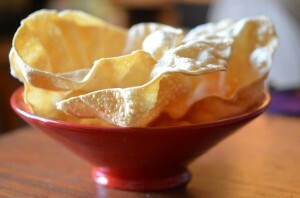 Traditional Indian poppadoms are made from lentil flour and rice; which are also safe to consume. If you are thinking about ordering an Indian takeaway, you should avoid adding a side-order of naan bread, at all costs. A Chinese takeaway is always a safe option, if you’re searching for the perfect gluten-free food. Fish, vegetables, meat and rice are all foods that are found at a Chinese takeaway, and they are all foods that are naturally free from gluten. You should avoid spring rolls, wheat noodles, and anything that contains soy sauce. 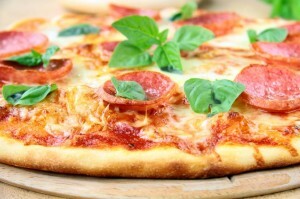 You can still enjoy a good old-fashioned pizza takeaway, even on a gluten-free diet. Many of the larger pizza takeaway companies are now becoming more aware of customers’ dietary needs, and are including gluten-free pizza bases on their menus. Fish and chips, and fast food such as burgers are usually a definite “no-no” when it comes to gluten-free dining. However, more and more local chip shops and fast-food giants are now offering a gluten-free option. You should always remember, although all of the takeaway foods mentioned above are considered gluten-free – you should always double check that they aren’t cooked in oil, or have been contaminated with other items that does contain gluten. Most takeaway establishments are always more than happy to help with your queries, and some may even host gluten-free nights.